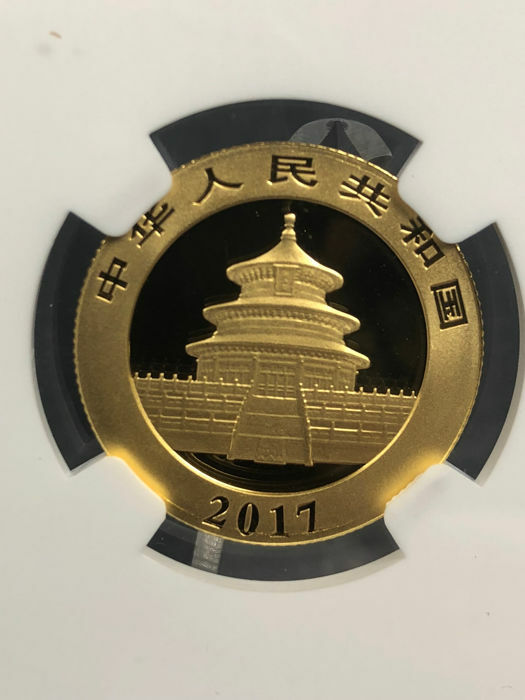 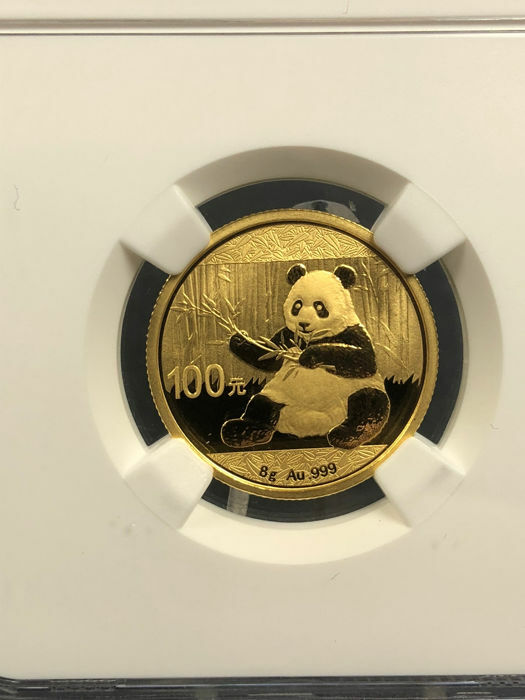 China Panda 2017 gold coin, face value 100 yuan. 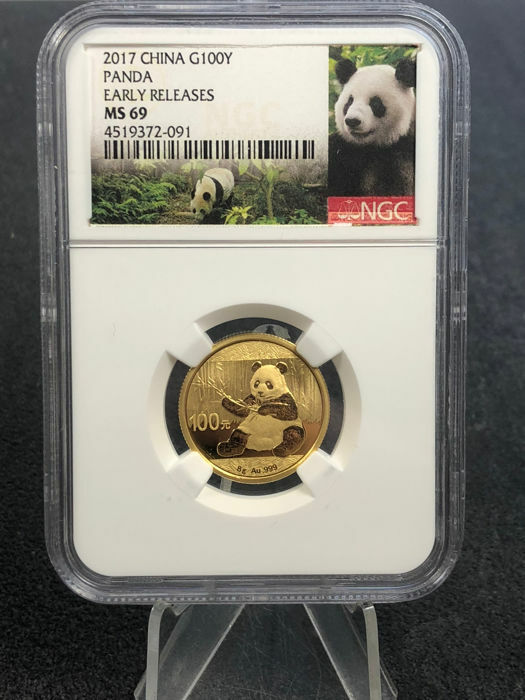 By NGC graded with MS69! 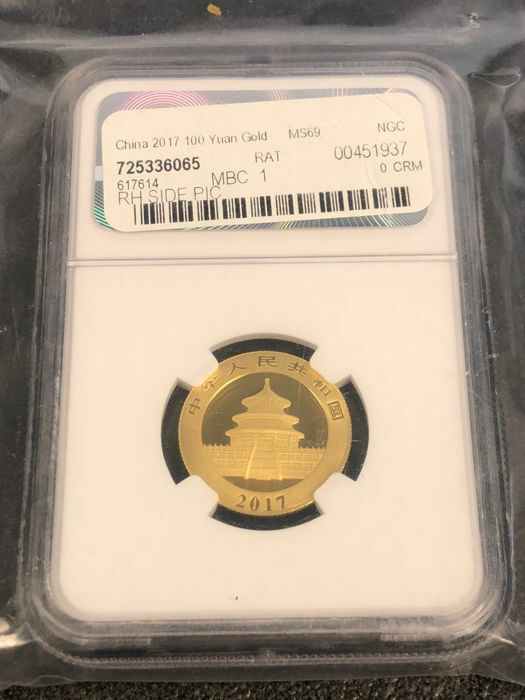 that means near-perfect condition. 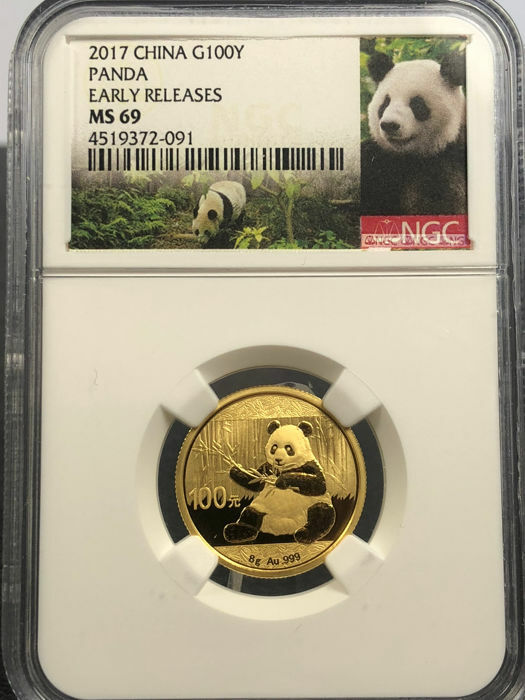 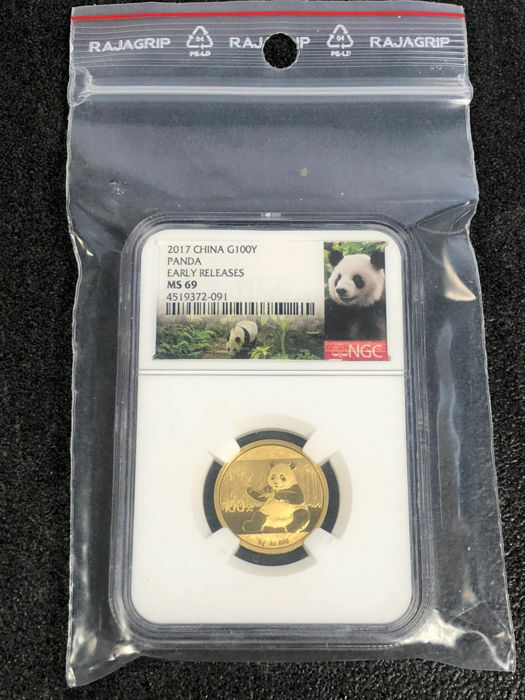 Year 2017 - pure 999 gold - 8.0 g.
The China Panda series is especially popular in China, the limited editions are therefore to a large extent bought up due to Chinese demand. 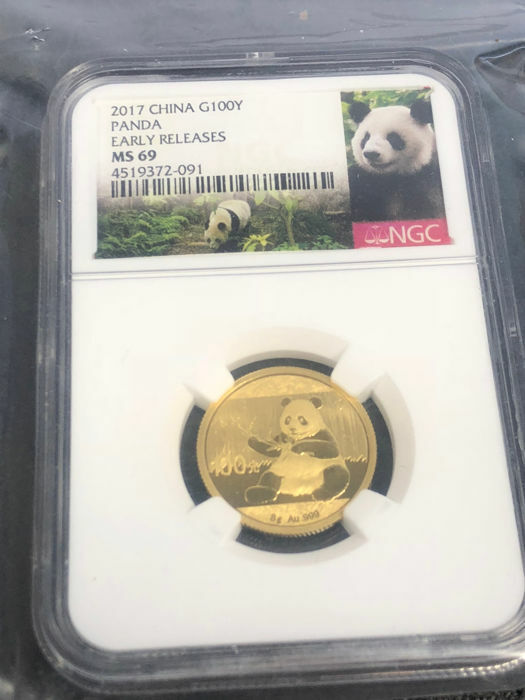 The lot will be shipped via registered mail.